Gautham Menon, after specialising in Police Stories and Romantic flicks, is now, for the first time, exploring a new theme - forests. He is roping Chiyaan Vikram for the lead. Sources reveal that the intense film maker and the versatile actor met a few months ago for a possible collaboration. Gautham had even narrated his script to him. 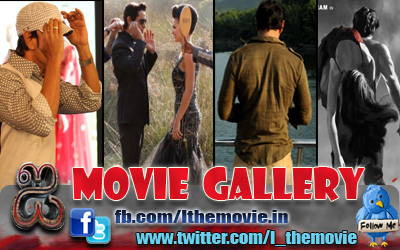 which will be shot extensively in dense woods in India and also in foreign location. A close aide of the actor says that everything is in a nascent stage as Vikram, who has just completed Ai with Shankar, is busy with Patthu Endratthukkula with Vijay Milton and Gautham's Work schedules too are hectic since he also Ajith's movie to complete.Industry sources point out that Vikram's next will be produced ny Ayngaran International. One may recall that that National Award winning filmmaker, Vetrimaaran, recently told this newspaper that he was working on a script with forest backdrop with a working title of Kaadu ( Forest). 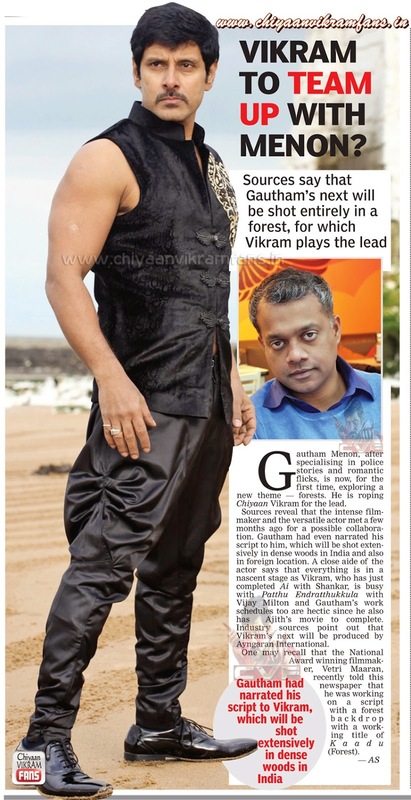 Gautham had narrated his script to Vikram, Which will be shot extensively in dense woods in India.